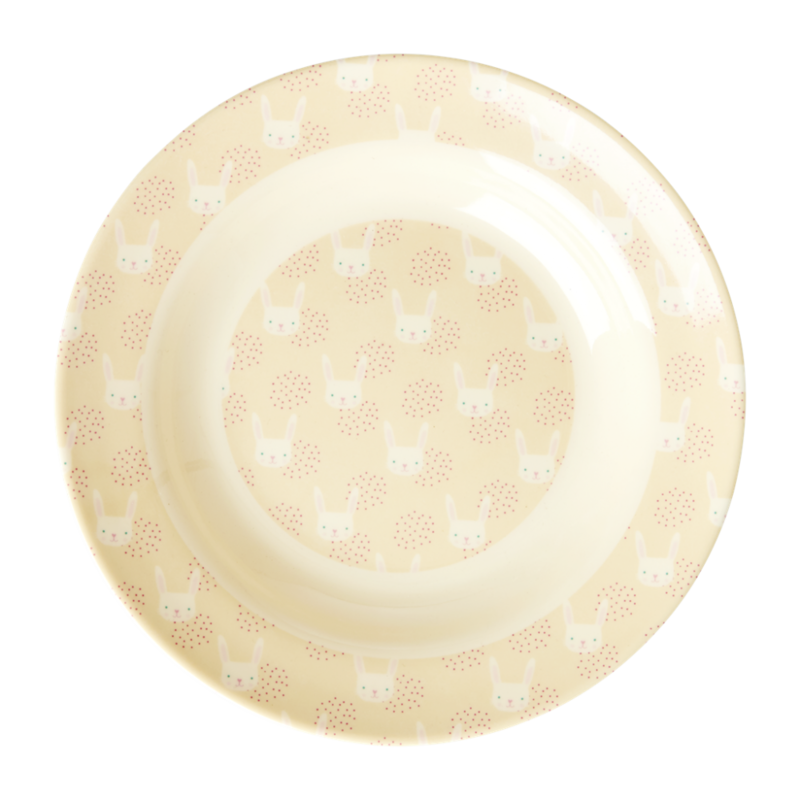 Rabbit print melamine bowl by Rice DK. 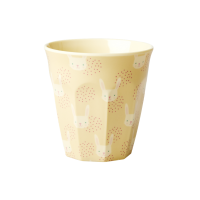 This kids bowl is cream coloured with pale yellow Rabbit heads. 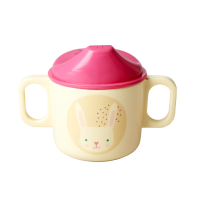 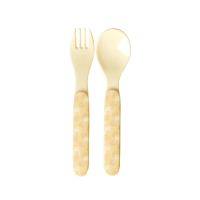 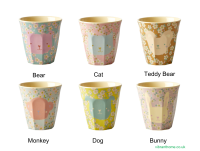 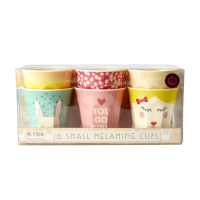 It co-ordinates with the childs cup with a handle & lid, cup, and cutlery.